This is a two-day course that emphasizes putting the latest evidence into practice. Through a mix of didactic and laboratory sessions attendees will leave with practical skills that will enable them to fully evaluate the injured runner and design a comprehensive training approach to maximize outcomes. Click here to download a PDF flyer with more info. Early bird price is available until July 28th or until the first 15 seats are reserved, whichever comes first! Student or 2-year new grad? Email us for discount details. Are you part of a group of 3 or more interested in attending? Email us for discount details. Interested in the learning objectives for this course? Click here for a detailed list. The rate of surgical intervention for patients with hip pain has increased 2500% in a recent seven-year period, the largest encountered for any region of the body. Post-surgical protocols for these surgical interventions vary widely and are poorly reported while non-surgical intervention has had limited reporting in the literature. This two-day course will equip the participant to clinically examine and diagnose hip pain as well as gain an understanding about what the literature does and does not say. Participants will gain skills to screen competing diagnoses and be able to discuss and detail post-surgical as well as non-surgical rehabilitation for the individual with hip pain while balancing that with understanding of surgical procedure and individual patient variability. Early bird price is available until October 20th or until the first 15 seats are reserved, whichever comes first! Running is a practical mode of exercise considering its wealth of documented health benefits and minimal barriers to entry. Running, however, is associated with a high incidence of lower extremity injury with studies highlighting that upwards of eighty percent of runners are likely to sustain an injury over the course of a given year. Clinicians working in an outpatient clinical setting would therefore be well served to refine their communication as well as their clinical skills and reasoning to foster improved outcomes in working with runners. This course is designed to help clinicians answer every runner’s most pressing question, “When can I run?” This will be accomplished by introducing a science-based framework that is rooted in the bio-psycho-social (BPS) model to help runners return to training through a graded exposure approach. An emphasis will be placed on communication strategies, motivational interviewing, running specific functional assessments, exercise prescription, and running gait analysis while demystifying the role and prescription of footwear. Given the predictable nature of running as an activity, clinicians will develop proficiency in guiding runners back to consistent and healthy training upon completion of this course. *All course participants will be provided with a digital binder prior to the course that provides them with all of the course slides and related material. 1. Objective: The participant will accurately describe the biomechanics, EMG, kinematics, and kinetics of walking and running while highlighting the key differences between these two modes of locomotion. Learning Strategy/Instruction Method: Lecture with question and answers. 2. Objective: The participant will identify the incidence and risk factors of running related injuries and the regions most likely to be affected. Learning Strategy/Instruction Method: Lecture with question and answers. 3. Objective: The participant will highlight key running related research and impact papers that have been published in recent years related to discussing prospective risk factors for injury. Learning Strategy/Instruction Method: Lecture with question and answers. 4. Objective: The participant will describe the components of the biopsychosocial (BPS) model of pain and factors related to each component as it relates to managing injured runners. Learning Strategy/Instruction Method: Lecture with question and answers. 5. Objective: The participant will correctly identify the severity and drivers of running related injuries while screening for red flags. Learning Strategy/Instruction Method: Lecture with question and answers, case studies, and live demonstrations. 6. Objective: The participant will demonstrate competency in simple manual techniques and interventions related to the lower extremity of injured runners. Learning Strategy/Instruction Method: Lecture and lab with feedback from instructor. 7. Objective: The participant will describe, demonstrate and provide cueing related to specific open and closed chain therapeutic exercises, which pertain to build running specific strength, neuromuscular control and comprehensive capacity. Learning Strategy/Instruction Method: Lecture with question and answers, and interactive lab with real-time demonstrations. 8. Objective: The participant will identify, describe, and discuss the role of compound strengthening exercises to improve one’s running economy and neuromuscular proficiency. Learning Strategy/Instruction Method: Lecture with question and answers as well as video demonstrations. 9. Objective: The participant will describe the three common strike patterns related to running as well as their respective implications as they relate to injury and performance. Learning Strategy/Instruction Method: Lecture with question and answers. 10. Objective: The participant will conduct a comprehensive running gait analysis and offer specific interventions from a gait retraining standpoint specific to various contexts. Learning Strategy/Instruction Method: Lecture and lab where the class takes the course instructor through a treadmill running analysis. 11.Objective: The participant will design and implement a return to running program by applying a graded exposure model to safely return runners back to training and competition. Learning Strategy/Instruction Method: Lecture with question and answers as well as role playing. Early bird price is available until February 23, 2020, or until the first 15 seats are reserved, whichever comes first! Chris completed his undergraduate studies at the University of Delaware, where he earned a bachelor of science with distinction while completing a senior thesis in the physical therapy department under Dr. Lynn Snyder-Mackler. Chris was a member of the varsity men’s tennis team, scholar athlete, team captain in 2000, and recipient of the Lee J Hyncik award for excellence in athletics and academics. He remained at the University of Delaware to earn a master’s degree in physical therapy while completing an orthopedic/sports graduate fellowship under Dr. Michael J. Axe of First State Orthopedics. Following graduation, he relocated to New York City to work at the world-renowned Nicholas Institute of Sports Medicine and Athletic Trauma of Lenox Hill Hospital as a physical therapist and researcher. He remained there for the ensuing eight years until 2010, when he opened his physical therapy and performance facility, Chris Johnson PT PLLC, in the Flatiron District of Manhattan. In 2013, Chris relocated to Seattle to further pursue his professional work while taking advantage of a more active, outdoor lifestyle in the Pacific Northwest. In 2014, he opened Zeren PT LLC to provide unparalleled physical therapy and performance coaching for multisport athletes in the Pacific Northwest. Chris is also the co-founder and current CEO of RunCadence LLC, which is an IOS app that helps runners apply step rate manipulation to their training. In addition to being a physical therapist, Chris is a certified triathlon coach (ITCA). Outside of his professional work, Chris races triathlon at the amateur elite level. He is a five-time USAT All American, two-time Kona Qualifier, and is one of the dominant age group athletes in long course triathlon. Chris is also extensively published in the medical literature and is a sought after public speaker. 1) Participants will be able to explain the structural relevance of the low back and pelvic anatomy in relation to peripheral neuropathy. 2) Participants will demonstrate active movements which will promote healthy and normal neurodynamics for the low back and pelvic neural anatomy. 3) Participants will be able to explain the biopsychosocial theories underpinning manual therapy for back and pelvic pain. 4) Participants will be able to demonstrate non-provocative manual therapy techniques for the pelvis and low back. 5) Participants will be able to adapt movements and pain education to fit their individual patients. Early bird price is available until March 22, 2020, or until the first 15 seats are reserved, whichever comes first! In this course we will review the decision making process in return to sport with consideration for both the APTA and NATA Code of Ethics. 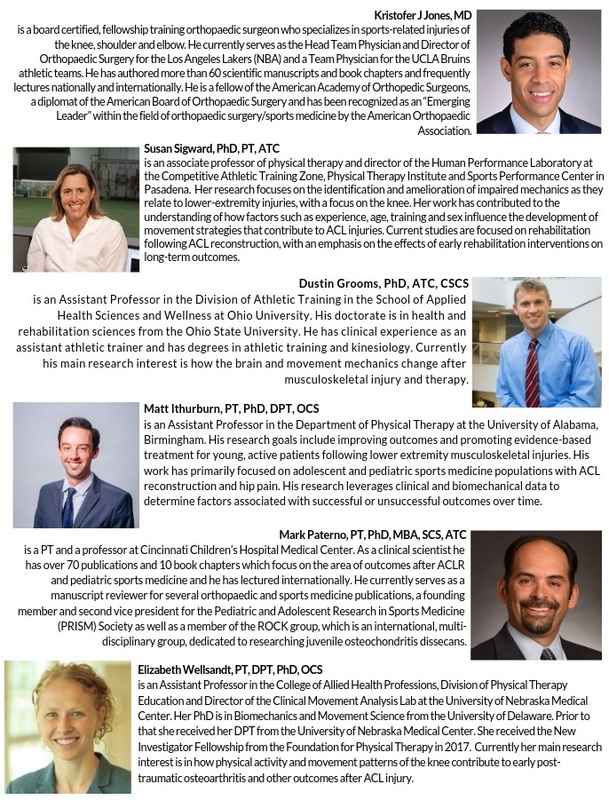 This course will challenge attendees with complicated case examples and uncomfortable, but necessary dialogue regarding the occasionally contradictory roles healthcare professionals have in the return to sport process. Identify other key stakeholders involved in the care of the athlete. Develop a framework for guiding the return to sport decision making process. Apply the Code of Ethics to the return to sport decision making process. This course is approved for 0.2 CME for Athletic Trainers through the Board of Certification. Approved Provider number P10154. California physical therapists and physical therapist assistants can also claim 0.2 CME for this course, approval number CEC-924. Nicole Surdyka is a Physical Therapist and Certified Strength and Conditioning Specialist in Los Angeles, CA. She and her husband, Marc Surdyka, are the owners of Surdyka Physical Therapy and Performance, a concierge style cash-based practice. Aside from treating patients, Nicole also teaches a weekend continuing education course called Managing the [Un]Injured Soccer Player, runs a podcast called Complete Football Health Podcast, and creates content for her blog, social media, and YouTube pages. A former Division-1 soccer player herself, Nicole is passionate about spreading knowledge to soccer players and coaches regarding health, rehabilitation, performance training, and injury risk reduction for soccer players. In her free time, Nicole likes to read, workout, play soccer, and spend time outdoors with her husband and their two dogs, Rosie and Kai. World renowned sports scientist Tim Gabbett, PhD, is coming to California in January to hold a workshop on load monitoring and athlete management. Here he discusses why his course is relevant to any movement professional working with active populations. In this workshop participants will develop practical tools to enable more effective and quantifiable load monitoring of athletes. Ample evidence has shown that training harder is smarter and high chronic loads are protective from injury. Participants will be able to write their own programs to monitor load in their athletes, stage training effectively and implement best practices with whatever resources you have at your disposal. Participants will learn how to best integrate their professional knowledge of load monitoring and communicate effectively with coaches, trainers, strength and conditioning coaches and sports scientists. Additional attention is given regarding the adolescent athlete as well as return to play considerations. Dr. Gabbett has also published three blogs for us about load management. They can be viewed here, here and here. 8:15am-9:15am Coaching Roundtable – What is “Load Management” Really About? 8:45am-9:45am Load Monitoring – It’s Not All About the “Ratio”!